Oshkosh, Wis.—Continental Girbau Inc. (Continental) recently added a 33-pound capacity G-Flex® Washer to its most advanced line of hard-mount flexible-speed washers. 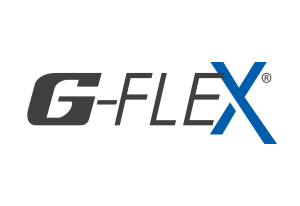 The G-Flex line now includes 33-, 40-, 55- and 70-pound capacity models. Like all G-Flex Washers, the new 33-pound capacity (4.5-cu.ft.) model offers programmable extract speeds reaching 200 G-force, a highly programmable control, and superior results using less water and energy. G-Flex Washers deliver the flexibility of six programmable extract speeds, including 100, 140 and 200 G-force. Programmable extract speeds allow laundries to custom-design wash programs to specifically meet the cleaning needs of a variety of items. Additionally, flexible G-force is critical when installation variables are not ideal, according to Joel Jorgensen, Continental vice president of sales and customer services. Offering advanced programmability, G-Flex Washers properly clean a variety of laundry items. The highly flexible Logi Pro Control brings 25 individually modifiable programs – each with up to 11 baths, including multiple pre-wash, wash and rinse cycles. Variables within each bath, including wash temperature, water levels, cycle times, rotation and G-force extract speeds, are individually programmable for maximum efficiency given the load type. Six selectable water levels, four external dosing signals, a soak option, crease-guard thermal cool down and delayed start are among the Logi Pro’s many offerings. Despite advanced technology, G-Flex Washers are simple to use. Operators enter a program number and press start. G-Flex Washers are also highly productive hard-mount machines. Because they generate extract speeds up to 200 G-force, while most other hard-mount washers reach speeds of only 75-150 G-force, they remove considerably more moisture during extract. Thus, laundry loads dry in less time using less natural gas. By shortening dry time, laundry throughput catapults and goods experience less wear-and-tear. Working to further extend linen life, a Smooth Touch system ensures goods are delicately treated while inside the washer’s AISI-304L stainless steel drum. The Smooth Touch stamping system creates drum holes without sharp edges for gentle linen treatment and thorough water evacuation. Durably constructed for years of constant use, G-Flex Washers feature steel front, side and top panels coated with Continental’s Titan Steel Finish™ for superior appearance and corrosion resistance. Oversized doors with heavy-duty hinges simplify loading and unloading, and all machine components are engineered using as few welds as possible to attain unrivaled strength. Highly efficient, G-Flex Washers feature a sump-less design, which saves up to three gallons of water per fill. Additionally, exclusive AquaFall, AquaMixer and Load Sensing systems work in concert to further reduce water, energy and natural gas usage. AquaFall releases water into each load through holes in the drum lifters for better saturation and rinsing. AquaMixer improves wash action by mixing hot and cold water to achieve precise bath temperatures, minimizing water and energy consumption. Finally, Load Sensing automatically adjusts water consumption and dosing time proportionately, depending on the program selected and weight of the load. This contributes to additional water, energy and chemical savings. Moreover, the unique G Drive system – a management communication system between the washer inverter, motor and microprocessor – saves energy while reducing noise, vibration and component fatigue. To find out more about G-Flex Washers, backed by a leading 5/3-year ContinentalCare warranty, visit www.cgilaundry.com or call 800-256-1073.